The Turbo Diesel Register editor called me a couple of months ago asking some questions about DEF systems. It seems that the folks at Geno’s Garage had been seeing an increase in phone calls related to the high cost of repairs to their DEF equipped trucks, specifically for the DEF emissions components. After our conversation, I did not give it much more thought and was going to cover another topic in TDR Issue 102. It just so happened that I was going to look at a customer’s car in Columbus, Ohio, then flying on to Atlanta before heading to Asheville, NC for a visit with our son and daughter-in-law. So my wife and I made a stop in Atlanta and had a great opportunity to share a nice dinner. It was nice to spend the time catching up and solving all the diesel world’s troubles. So it was set, in Issue 102 I was going to discuss DEF systems. Hopefully we can separate some myth from fact, fix a few trucks, and save some Ram Turbo Diesel owners a little money in the process. Before we dig in, I suppose we should clarify the role of DEF in the 2013 and newer pickups. The Chassis Cab (CC) trucks also use DEF, and they started the use of DEF a couple years before the pickup trucks. There were not a great number of CC trucks built, and the system used on them was slightly different than the system used on the 2013-2019 pickup trucks. I will, however, point out a couple of areas of note on the earlier CC systems. Not to be left out is the Ram 1500 EcoDiesel that also uses DEF. It is similar in design to the HD pickups. There seems to be a fair amount of confusion on the role of DEF in the new trucks. I hear many comments that the system should be removed at the first opportunity because the truck will last longer or get better fuel economy. Both of those are myths. In my opinion DEF was probably the best thing to happen to our trucks. 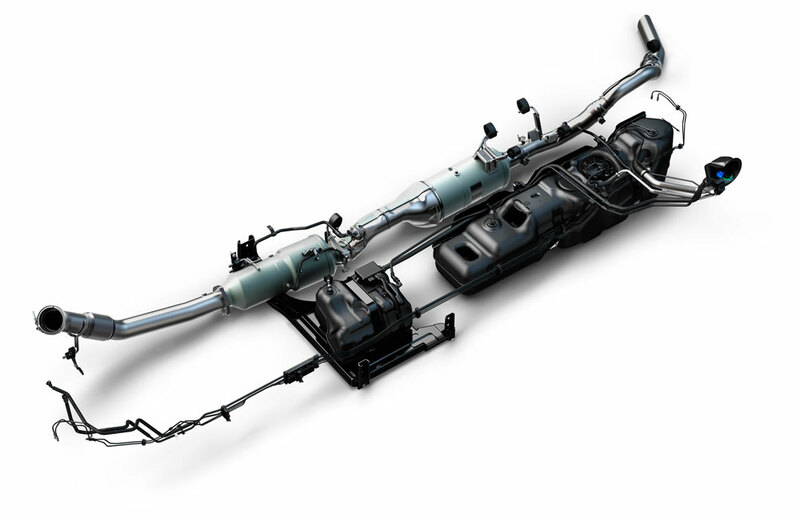 DEF has one role in the truck’s emissions system—reduce NOx emissions. Remember, our fire-side chat example: You build a hotter fire (efficient combustion/high power, big torque) and NOx emissions increase. Lower the temperature and NOx is controlled but particulate matter (soot) increases. Diesel exhaust emissions are a delicate teeter-totter. So, without the DEF system, the only other way to reduce NOx is to make internal engine modifications, changes to the fuel injection system, or dump more EGR gases into the intake. I will take the DEF method any day over the alternatives. By using DEF, Cummins/Ram engineers are able to maximize injection timing, increase fuel flow (read more power), and reduce EGR by injecting DEF into the exhaust stream. I won’t go into all the chemistry behind it, but the way it is done is by injecting DEF in the exhaust stream ahead of a special Selective Catalyst Reduction (SCR) converter. It looks similar to a DPF, but can be identified by the injector upstream. An injector atomizes and mixes the DEF in the exhaust before entering the SCR and chemically reacting with the precious metals inside to change harmful NOx to harmless nitrogen and water. It really is a great system. But any great system can fall prey to many troubles that give it a bad name. 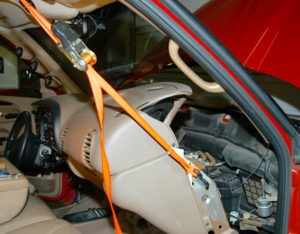 Therefore it is important to give the DEF system the same care and attention you might give to other parts of the truck. The system easily adds a couple thousand dollars of parts to the already complex fuel and emission system. So it is important to take care of it. Another DEF myth is that some DEF products are better than others. The truth is that all DEF is 32.5% urea with the remainder water. So purchase your DEF anywhere you like, it’s all manufactured the same. The problem lies in the fact that DEF degrades with heat. To put it into perspective the shelf life of DEF is infinite at 32°, 10 months at 95°, and 1 week at 140°. That is why you don’t really want to keep the DEF tank full if you live in a warm climate. It is best to run it down, and refill with fresh, properly stored DEF. When the concentration of urea goes above 32.5% it causes the DEF to crystalize in and around the different parts of the system. Ambient heat around the tank speeds the evaporation of the water. If you go back to the DEF shelf life numbers above, you can see that excessive heat is not kind to your DEF. Let’s go over the complete system and you will see there is quite a bit of technology integrated into it. We need to have a DEF supply. So, let’s start with the DEF tank. Most of the tanks are in the neighborhood of 8 gallons, approximately enough to get you from one oil change to the next before having to refill. Inside the tank is a pump and filter (10 micron) to circulate a clean supply of DEF to the injector and back to the tank. On CC trucks there are actually a total of five filters and screens. 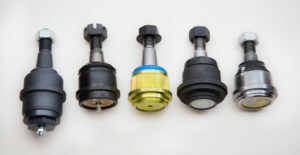 Only three are able to be serviced, the filter in the tank, and the two screens in the pump quick disconnect fittings. The other two screen are located at the pump and injector. Inside the tank there are two methods to thaw the DEF in cold weather. Chassis Cab trucks used coolant circulated in the tank, while the HD pickups, the EcoDiesel 1500 and the Jeep Grand Cherokee use electric resistance heaters. From the pump there are two lines that take the DEF to the injector and back to the tank. You might be wondering why we need a return line. The answer is that DEF freezes at about 12°, so we don’t want to keep it in the lines. Every time you shut off your truck the DEF pump purges the lines, so there is nothing to freeze. Likewise, every time you start your truck, the pump fills the lines with DEF and purges all the air out. Of course, if it is below 12°, the system will wait to fill the lines. Once DEF gets to the injector it can be injected into the exhaust stream and into the SCR. 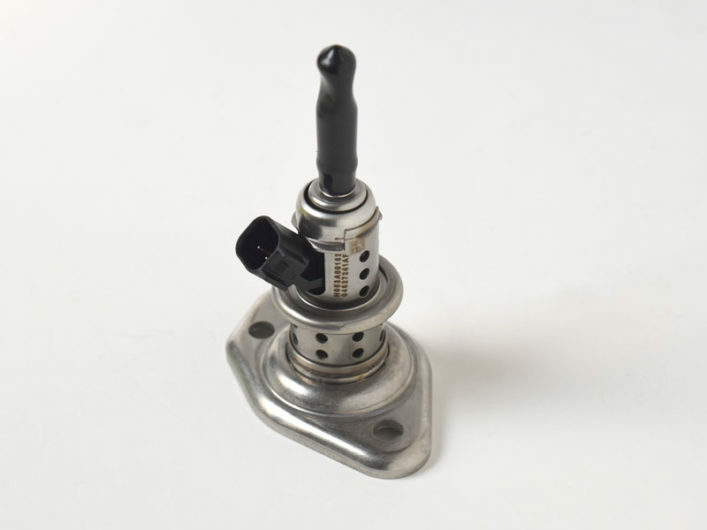 Downstream of the SCR is a NOx sensor (similar to an O2 sensor) that the DEF dosing control module uses to determine the correct ratio of DEF to inject. NOx levels are much higher under heavy loads (remember high heat equals high NOx) and the DEF usage goes up when towing or working your truck hard. A rough estimate is DEF usage should be about 2% of the fuel usage. So for every 100 gallons of fuel you should use about 2 gallons of DEF. Remember, use does go up with load. In a perfect world, all is well and you will never know your truck is doing a great job of keeping the air clean. Some of you may have experienced an EVIC or check engine light (CEL) message concerning your DEF system. 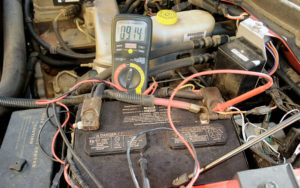 The causes can include everything from contamination to defective parts. The most common failure is contamination, most of the time because of degraded DEF (the heat example that was discussed), or someone made a mistake and put diesel fuel into the DEF tank. The untrained technician will replace all the parts. In reality the crystals are soluble in water, and most if not all parts can be cleaned up by soaking them in water. Systems contaminated with diesel should have all parts replaced according to FCA. But if it were my truck, there is nothing to lose but time by attempting to clean it out. You just have to hope you didn’t ruin a $2,000 SCR cat in the process. There were also a fair number of parts failures, several of which resulted in recalls to correct the problem. Because of the way the EPA makes manufacturers use generic fault codes, sometimes there are codes generated that would indicate bad DEF, when in fact it may be a sensor or SCR catalyst. So we are full circle and back to why the editor called me in the first place. His staff was seeing an increase in calls and there were complaints of expensive parts being replaced too often, leading many to believe that there were a bunch of bad parts out there. I was asked to do a little research into the number of parts being replaced, and the real reason for the replacements. Here is what the numbers indicate. At the time I’m writing this (August) the average weekly demand (AWD) of the DEF injector (4627241AF) used in 2013-2019 HD trucks is 152, with a cost of $290. The weekly demand of the DEF module/pump used on the same trucks (68192659AG) is 92 with a cost of $1625. I also looked at the supply tubes that had an AWD of 45, and a cost of $166. Ram has sold about 150,000 Cummins equipped trucks each year, or about 900,000 over six model years. If we do a little math the “failure rate” of injectors is 0.8%, pump modules 0.5%. From my experience, many parts that were replaced could be easily cleaned. We will never know the true number of failures, because the repairs done under warranty would generally be completed by replacing parts instead of cleaning just from a time savings standpoint. The remaining replacements are customer pay, because they are “contaminated” and again the parts replacements are done to save time. I also have to say that the majority are repaired under warranty instead of customer pay because the dealers generally do not spend a lot of time making a determination of the true cause of the failure. It might be a defective part, but could just as easily be contamination from crystalized DEF. I also looked at the same parts for the 3.0 EcoDiesel trucks and Jeeps, and the parts replacement rates far exceed the HD truck parts replacements. The numbers are 3.4% replacement rate for injectors, and 1.6% for pump modules. This is more than likely because of the high number of defective SCR’s in light duty trucks that got misdiagnosed first as bad DEF. Almost all, if not all, of the SCR’s are under warranty, so there is less incentive to properly diagnose the root cause since there is little chance FCA will deny the warranty claim. Unfortunately, the cost of that is ultimately passed on to us when we purchase our next vehicle. It’s a big problem, and not specific to FCA. I’m still in shops almost every day and there is more demand for properly trained technicians than ever, for all brands. We have the same concerns at the college; there just aren’t enough good people entering the business. So what can you do if your CEL is on? First thing is to read the fault codes. Often times just clearing them will not work, in fact several codes cannot be cleared until the problem is repaired and the monitor has run successfully. That is because the EPA did not want you to just keep clearing the codes while merrily going down the road spewing bad things into the air. I guess they aren’t that stupid after all. Once you get the codes you need to perform the proper diagnosis. That involves using the published diagnostic procedure from TechConnect. Often, this is easier said than done. TDR Editor’s note: The code thingee has happened to me. At 28,000 miles the “Incorrect DEF” light came on. It was shortly after a DEF refill and my DEF tank was dangerously low prior to the refill. I really thought I had some bad DEF! The fluid was one of the last jugs remaining at an out-of-the-way convenience store. I will not make that mistake again. I had to return to the dealership for a reflash. Yes, it was under warranty; no, the truck did not derate; no, I could not clear the code with my code reader. Had the dealership wanted to take me to the cleaners for a full DEF module/pump, well, the conditions were suspect. I am thankful for Stan’s article and his advice to remove and clean the injector and/or module and pump. You bet if the “incorrect fluid” message or codes reappearing I’ll be under the truck removing parts to clean them (hey, no more warranty coverage). Usually someone on the TDR forums will post a procedure, if you request one. If the code indicates improper flow, catalyst efficiency or something similar, it can be caused by bad DEF or restricted flow of DEF. So before you or the dealer spend a bunch of money replacing parts, you might clean the system before moving ahead with the diagnosis. The tanks do not have a drain so they must be removed to clean them properly. All other parts are fairly easy to remove and clean with water. Another thing to keep in mind is, if there is not a lot of crystalized DEF on the injector (remember, you can clean it with hot water), it more than likely is not a DEF problem. Hopefully, I have done a good job of explaining the system, and what can or can’t be done when a fault shows up. If you have the dealer or a shop do the cleaning, it might be just as expensive as having the parts replaced versus doing it yourself. But when you step back, it isn’t rocket science, and you can do it if you take your time and pay attention to what you’re doing. Cleaning the system will not fix every truck, but a little time spent cleaning will eliminate a potential cause before moving on with the diagnosis at a dealership.